We have a collection of top finance and accounting interview questions compiled with real-life experiences and research with working professionals. They are a must-read for all job seekers especially freshers and intermediate level candidates with experience range of 0-4 years. These finance and accounting interview questions will act as a great refresher for someone trying to brush up their accounting fundamentals as well. Don’t forget to collect your bonus item at the end of this article! Our research involved over 100 aspirants who went through a technical or written interview in companies such as EY, KPMG, Deloitte, PWC, Grant Thornton, Ameriprise Financial, American Express, FIS, Fluor Corporation, Genpact, Bechtel, Citigroup, Accenture, Agilent, UHG, UBS, Bank of America, HCL, Sapient, Blackstone, HSBC, FIS, WNS, XL Catlin, BT, Boston Consulting Group, Royal Bank of Scotland, Whirlpool, GE, EXL, BlackRock, etc. 1. 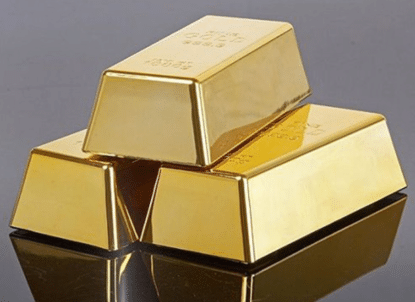 What are the three Golden Rules of Accounting? First things first this is the most basic yet the easiest one to be taken for granted, know this well. 2. What are the three main types of accounts? Nominal – All accounts related to expenses & losses or incomes & gains fall under this category. 3. Why is Depreciation not Charged on Land? Oh! this is a classic and one that fascinates the operations manager more than often. There is no scope for leaving this one out from any list of finance and accounting interview questions. The reason why you will never see depreciation being charged on land is that land has an infinite useful life. Without knowing how many years a fixed asset will last depreciation cannot be charged. The formula to calculate straight-line depreciation is (Cost of Fixed Asset – Scrap Value)/Useful life and you don’t have a number to fill the denominator here. Amortization is only done for Intangible assets, unlike depreciation which is for tangible assets. Reduction in value by prorating the cost of an intangible asset over multiple accounting periods is called amortization. Example – A small-sized technology company Unreal Corp. spends 500,000 on R&D which is expected to sustain for 5 years so it may decide to amortize this & show 1,00,000 each year for 5 years in the financial statements. 5. Why is Closing Stock not Shown in Trial Balance? Not all goods purchased in beginning & during the accounting period are sold until the end of that period, this results in a remainder balance known as closing stock. Closing stock is a part of purchases & trial balance already includes purchases, hence if the closing stock is shown as a separate item it will double count and result in an error. Example – Purchases for a period = 60,000, Closing Stock (remainder out of purchases) = 10,000, if both of these items are separately shown inside trial balance the effect will double up & trial balance will error out. This one also stands tall among top finance and accounting interview questions asked in technical rounds by hiring managers. 6. What are the three main Financial Statements? This is another very common question asked in finance and accounting interviews, especially with entry-level roles. Three main financial statements are Income Statement, Balance Sheet, and Cash Flow Statement. Again, follow the i.e. to add one brief statement to each one of them, but don’t over talk it will only make you vulnerable to more questions. Income Statement – It presents a summarized view of revenue, income, profit, and loss of a particular accounting period. Balance Sheet – B/S would show them as on date assets, liabilities & capital position of a business. Cash Flow Statement – It shows the movement of cash and cash equivalents for a business during an accounting period. 7. What is Capital, type of account & where is it shown in the financial statements? Also called net worth or owner’s equity, capital is the money brought in by the owner of the business as an investment to start the operations. Capital is a Personal Account as it belongs to an individual or a firm (owner). 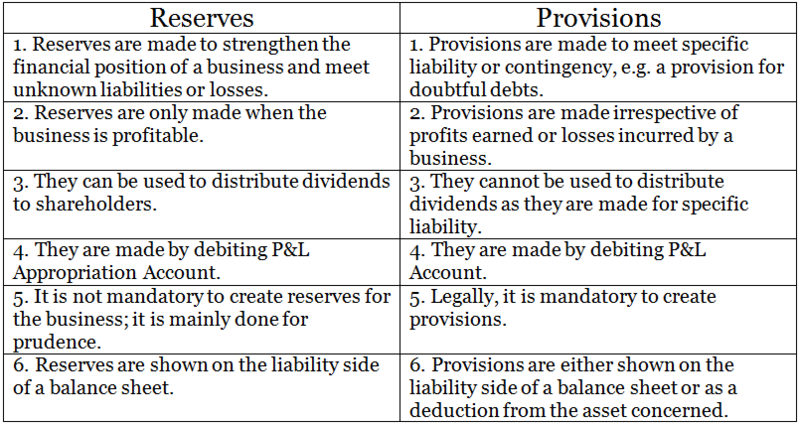 Capital is shown on the liability side of a balance sheet. Here is our detailed article on Capital along with its Journal Entry here. 8. What are Fictitious Assets? Bind this to your memory fictitious assets are not assets they are fake or deceptive they are actually expenses & losses which for some reason couldn’t be written off during the accounting period incurred. They are written off in multiple future accounting periods. Examples – Preliminary expenses, promotional expenses of a business, discount allowed on the issue of shares, the loss incurred on issue of debentures, etc. Fictitious assets are shown in the balance sheet on the asset side. 9. What is the Journal Entry for Goods Given in Charity? When a business decides to give goods in charity it also needs to account for those goods in the appropriate financial statement(s), in this case, purchases are reduced with the exact cost of goods donated. 10. What is the Journal Entry for Free Samples? When a business wants to advertise a new product or a new line of product it may decide to distribute free samples to the customer. In this case purchase a/c is credited and advertisement a/c is debited. 11. 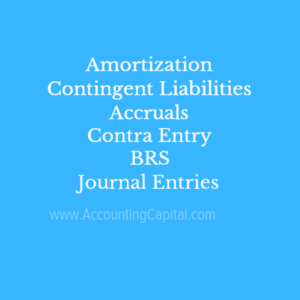 What is Depreciation, different types of depreciation & its journal entry? The reduction in value of a tangible fixed asset due to normal usage, wear and tear, new technology or unfavourable market conditions is called Depreciation. 12. What are Contingent Liabilities? Contingent liabilities are those liabilities that may or may not be incurred by a business depending on the outcome of a future event. The existence of this kind of liability is completely dependent on the occurrence of a probable event in future. Example – Let’s suppose that Apple files a case of a patent violation on Samsung and Samsung not only realizes that it may have to pay for violations but also estimates how much in total. In this case, Samsung will record the estimated amount in their books of accounts as a Contingent Liability. 13. What is the fifference between Reserves and Provisions? Another very frequently discussed topic in the list of finance and accounting interview questions is accruals. They are expenses and revenues that have been incurred or earned but have not been recorded in the books of accounts. Adjustment entries are incorporated in the financial statements to report these at the end of an accounting period. Accrued Expense is an expense which has been incurred, but has not been recorded in the books of accounts presently. It will require an adjustment entry in the books of accounts to reflect this in the financial statements. Accrued Income is an income which has been earned, but has not been recorded in the books of accounts presently. Similar to accrued expenses, an adjustment entry will be required in this case too. There is some more explanation on Accruals along with a couple of examples here. 15. What is a Contra Account? It is an account which is used to reduce or offset the value of an associated account. It holds the opposite sign for a particular type of account. If an account has debit balance (e.g for an Asset a/c), then there will be a credit balance in its contra account. The opposite is true for a liability account. Read more on Contra Account with more details and examples. 16. What are Drawings, what type of account is it & its journal entry? When a proprietor withdraws cash or goods from its own business for personal use it is termed as drawings. It reduces capital invested and is a temporary account which is cleared at the end of each accounting period. “Drawings” is a Personal Account & is shown on the liability side of a balance sheet. 17. What is a Bank Reconciliation Statement & why is it prepared? 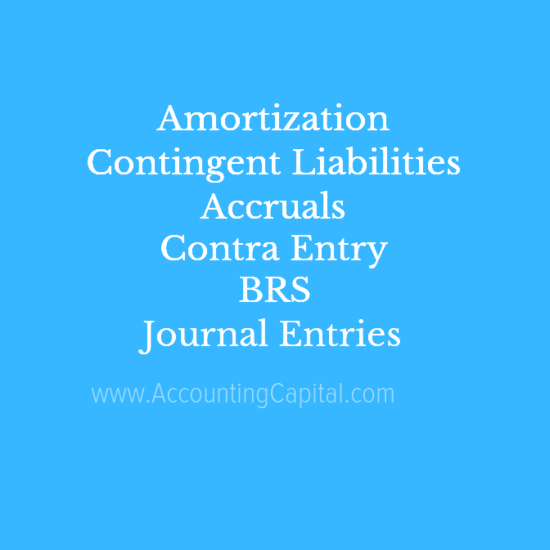 Almost all compilations of finance and accounting interview questions include at least one question on BRS, this topic is deemed important. Bank Reconciliation Statement or BRS refers to a statement which is made to reconcile bank balance shown on the bank statement or passbook with the bank balance shown in the cash book. Both internal source i.e. the cash book and external source i.e. the bank statement/passbook are reconciled with each other, then all the mismatches are identified and properly recorded. 18. What is Deferred Revenue Expenditure? Another one among the list of commonly asked finance and accounting interview questions is Deferred Revenue Expenditure. It is an expenditure which is revenue in nature and incurred during an accounting period, but its benefits are to be derived from a number of following accounting periods. The part of the amount which is charged to the profit and loss account in the current accounting period is reduced from the total expenditure and the rest is shown on the balance sheet as an asset. Example – A small business spends 1,50,000 on advertising which is unusually large for them. The benefits from it are expected to be derived over 3 years so the company decides to divide the expense over 3 yearly payments of 50K. This type of expense is amortized. 19. 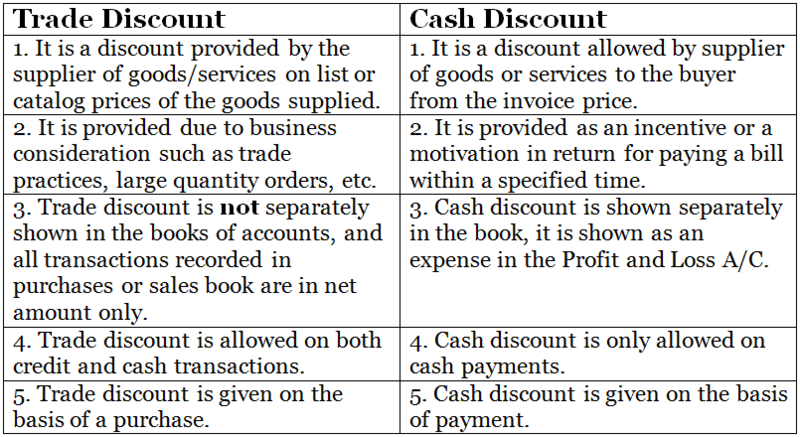 What is the difference between Trade Discount & Cash Discount? 20. What is a Credit Note and Debit Note? Be ready for this question in accounting interviews for roles related to Accounts Payable and Accounts Receivable. Debit Note – When a buyer returns goods to the seller, he sends a debit note as an intimation to the seller of the amount and quantity being returned and requesting the return of money. Credit Note – When a seller receives goods (returned) from the buyer, he prepares and sends a credit note as an intimation to the buyer showing that the money for the related goods is being returned in the form of a credit note. 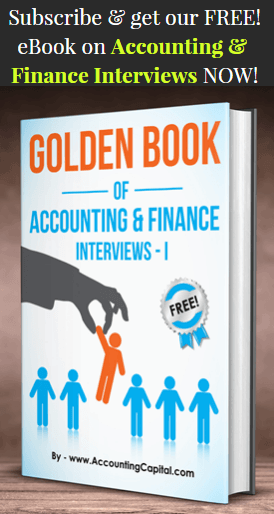 The first of our two book series “Golden Book of Accounting and Finance Interviews – Part I” contains 20 additional finance and accounting interview questions including the ones in the above article. We recommend every job seeker to take advantage of our free eBook.